CHICKALOON: This morning brings one of the most scenic drives in the state. 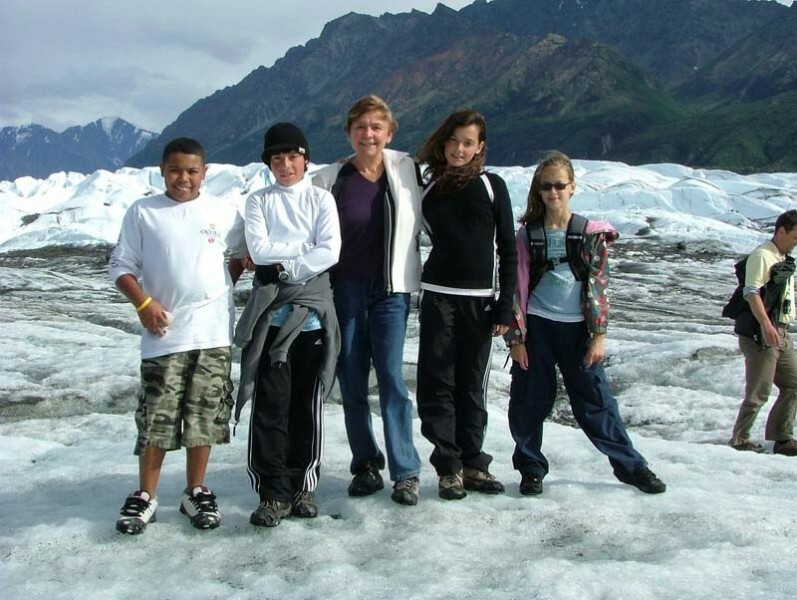 As you head north to Chickaloon, an overlook stop reveals the Knik Glacier, the Matanuska River and the Chugach Mountains in their full glory. The Matanuska River winds its way north beside us, cutting a cavern of beauty through the Matanuska Valley. Next, you enjoy your scenic glacier float on the mighty Matanuska River. Consider an upgrade to a thrilling whitewater excursion to feed your adventurous soul. 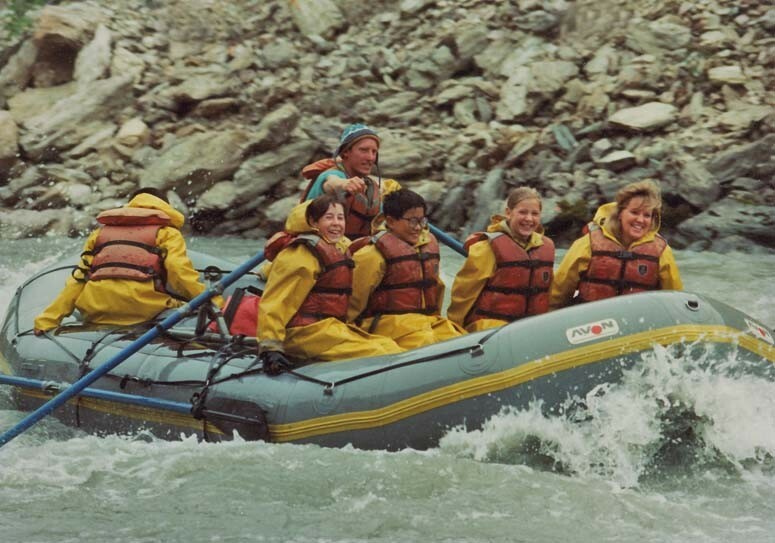 The “Glacier Run”, a scenic glacier float trip is great for relaxed sightseeing and photo opportunities. 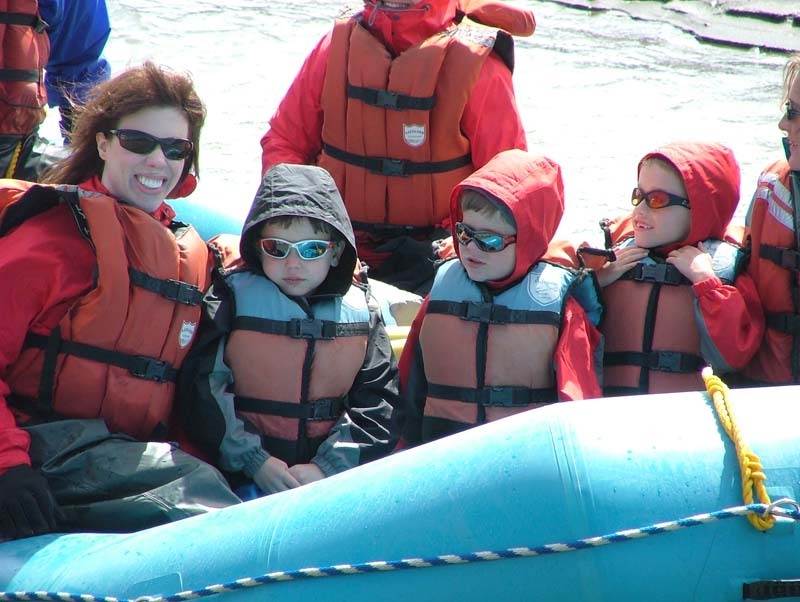 This easily negotiable class 1-2 water makes it a great way to experience rafting and the great outdoors while drifting by the Matanuska Glacier. 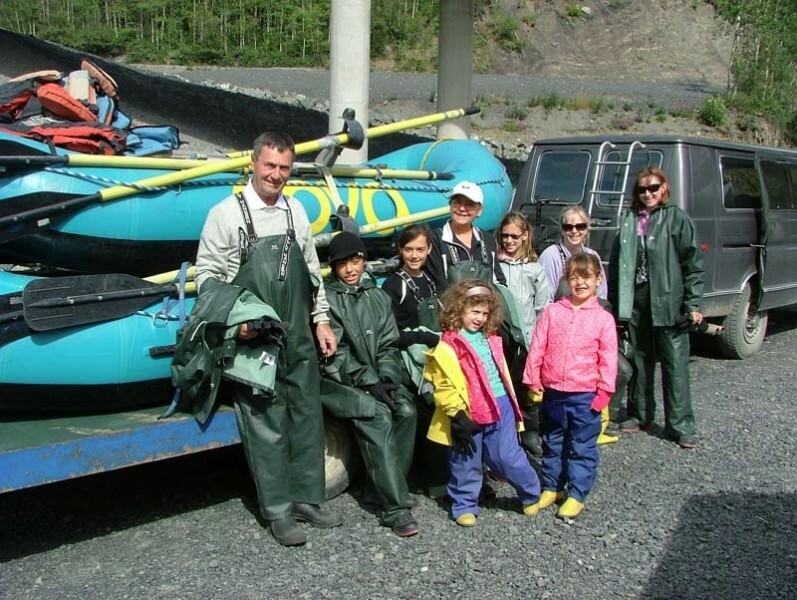 You will be outfitted in rain jackets and overall pants as well as with tall boots, This raft excursion lasts 2 ½ hours. The “Lion’s Head” thrilling raft trip offers the roar of whitewater. 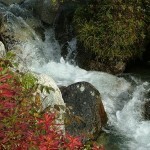 This is an excellent first-timers whitewater trip that is popular with experienced enthusiast as well. The most popular trip for over 28 years, this class 3 & 4 whitewater experience offers you a hand-on adventure. 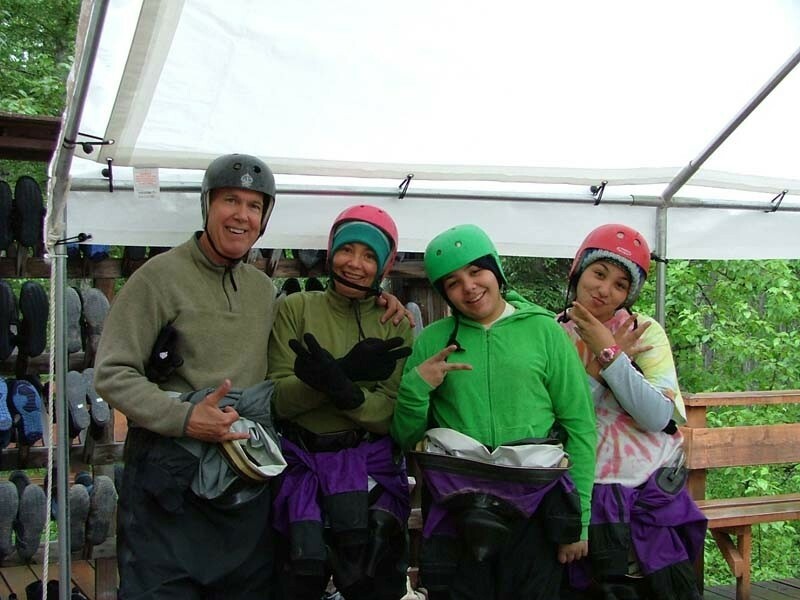 You will be outfitted in full dry suits over your clothing with dry water shoes. 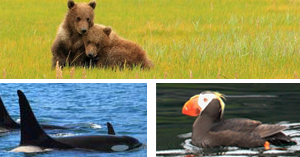 This raft excursion lasts 3 ½ hours. MUST BE AT LEAST 12 YEAR OF AGE. In the afternoon, it’s off to Sheep Mountain Lodge, for a bite to eat. Sheep Mountain Lodge offers spectacular homemade soups, triple berry pie, and try their glacier cookies drizzled in chocolate syrup!! 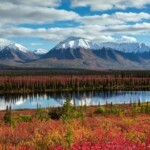 This area is also a famous viewing area for Dall sheep. So keep your cameras handy. After a stop for a hearty lunch, discover the true beauty of glaciers up close & personal. 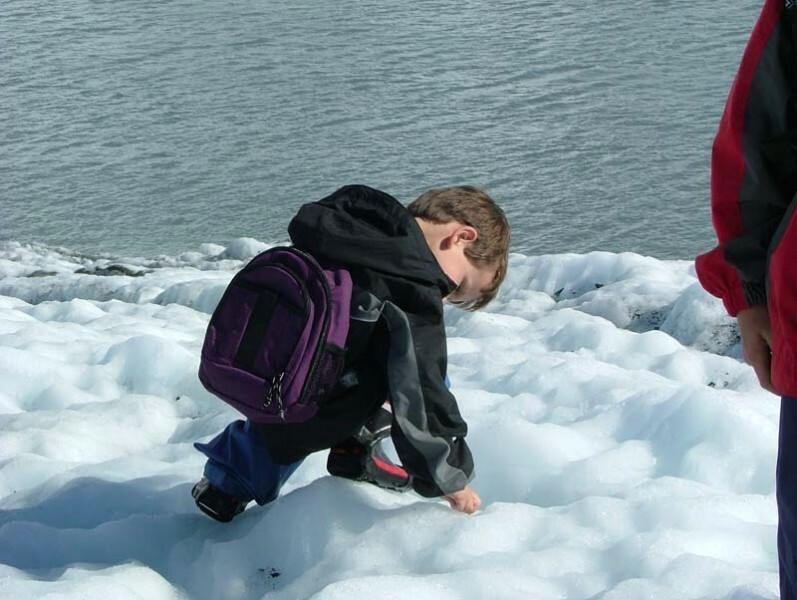 Ice crampons and walking sticks are your first step to enjoying your glacier trek adventure. 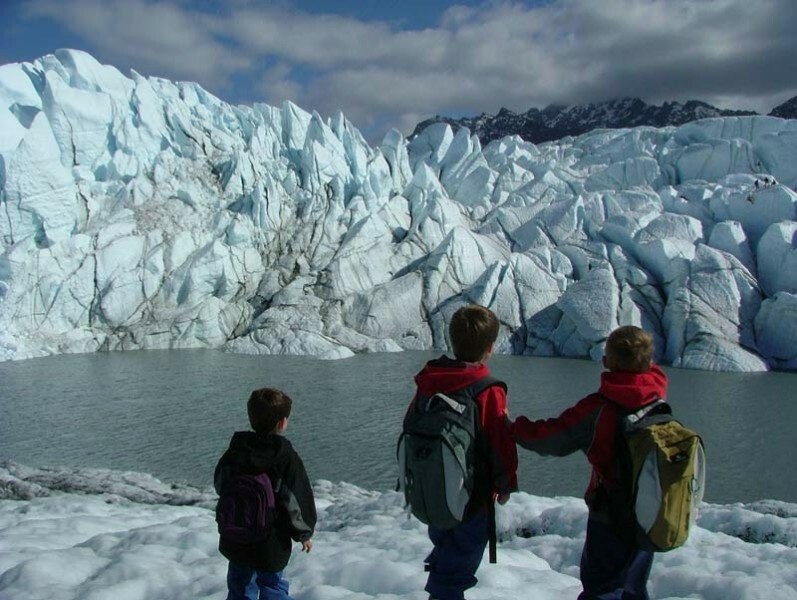 You’ll experience glacier walking or hiking as well as the natural history of the Matanuska Glacier. Enjoy the splendor of the “frozen river” as you walk out to a scenic lake hidden under the face of an ice fall. No experience is necessary to join in the fun! After the days fun this evening, a dinner stop is offered in Palmer or you can choose to grab a deli dinner and take it back to your comfy chalet accommodations. Rest up for tomorrow brings another day of high adventure.